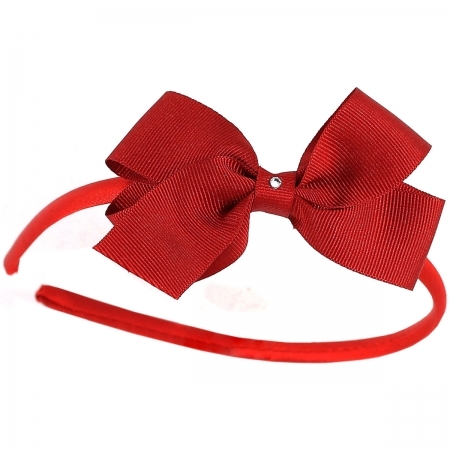 One Red Alice band with diamante bow. Alice band is wrapped in matching colour ribbon. From babies to 8 years. Contain small parts - supervision required when use on babies under 36 months. Be the first to hear about sales and when the latest collections are out!